Grid cloth is a type of diffusion material, or diffusion filter. This translucent cloth offers a special effect when working in front of a camera. Using the fabric, light diffuses to soften the subject. Finding the right lighting effect for a photo shoot is important for the artistic outcome. 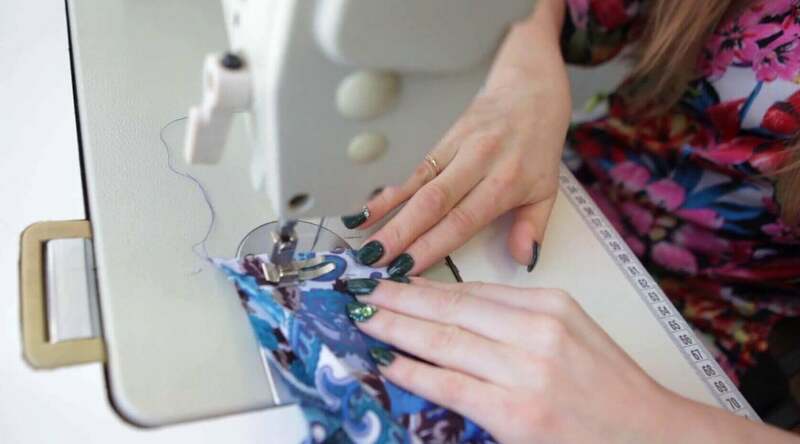 Grid cloth is used in the television and film industries. 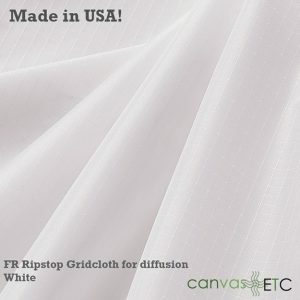 It’s called grid cloth because it’s woven in a grid pattern. Photographers purchase the fabric in varying degrees of diffusion: ½, ¼, ¾, 1, 2, etc. For filmmakers and photographers, the day’s lighting and how to set up a diffusion is extremely important. A shot list helps rank what shots need completion first for the sake of lighting (and other factors). Then, lighting diagrams are created to show where lights and diffusion frames placed on the set. Lastly, the lighting needs to compliment the model or actors as well as the set art. Bobinett (bobbinette): This popular textile is available in many colors. White, black and grey are just some of the colors popular with cinematographers. A single style bobinett offers less diffusion than double styles. Glare is reduced while contrast is increased. Most bobinett fabrics are flame retardant. Imported bobinett usually comes made of cotton, while many domestic manufacturers use nylon. Muslin: Muslin is like other light diffusing fabrics. Bleached muslin creates a flat light effect while unbleached muslin works well for warmer tones. Muslin is often used in backdrops and as curtains. The versatile fabric softens and adds dimensionality to spaces. Silk: For light diffusion, artificial silk is used. Silks come in many forms and are used to medium diffusion. However, stops do not exceed 2. It’s ideal for directional lighting more than diffusion. Butterfly: This refers to diffusion fabric that stretches over a frame. A butterfly lights your subject or object specifically for high-end lighting scenes. Light box: A light box comes in different sizes depending on its intended use. Photographers use them for photographing or recording product images (for e-commerce, for instance). Softbox: A softbox is set to light direct positions. Soft boxes extend harsh, bright lights and make them soft lights for photographing small objects. Tenting: Tenting surrounds your subject or object with soft light. Therefore, some draping techniques remove all shadows from the subject. 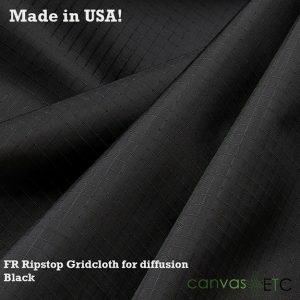 Unsure how much material you need or if grid cloth is right for you? Click to request a quote. Our fabric experts are ready to help you find the right material for your project and your budget.